Over 9 million people struggle to establish their existence in The States, resilient to discrimination and attuned to the spirit of determination. To all of you out there, we’d like to say one thing. Your fashion sense is Impeccable! 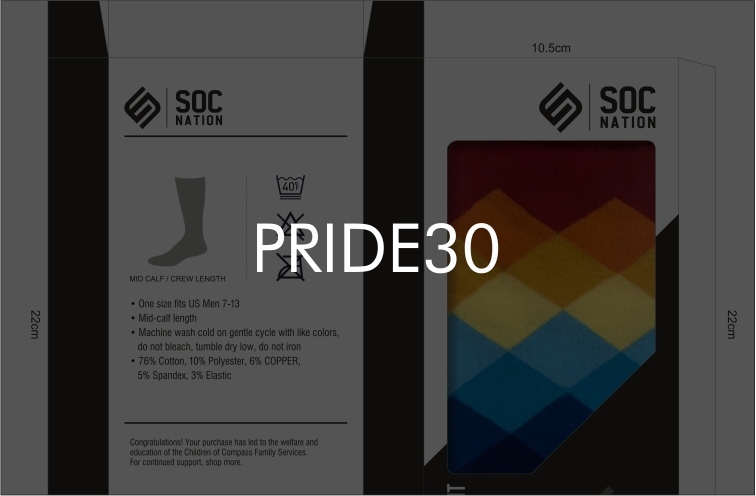 Soc Nation celebrates and takes pride in your spirit of Determination. Nobody understands the need to look sharp the way you do. Hell, our team looks up to you for fashion advice and so we will do no more than offer a sleek set of 6 bowties. We would love some style tips in the reviews and suggestions are always welcome. Use the coupon code – PRIDE30 to get a bundle of 6 sleek bowties. Sign up with us and get exclusive discounts and first pick from our upcoming collections. What’s more, if you have some styling tips or product suggestions, we’d love to stay in touch!